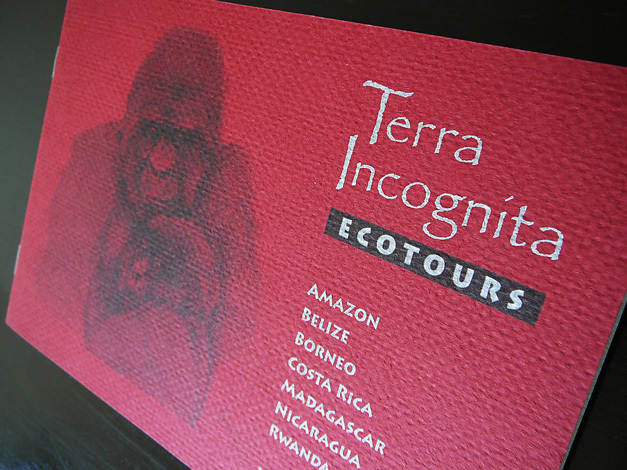 The rich color & texture of this booklet’s cover, printed elegantly in black & silver (with the metallic silver ink absorbing into the lush paper stock for a burnished effect) along with the exquisite hand-inked drawing of a gorilla mother & baby, sets Terra Incognita Ecotours apart from all the other travel companies using slick, standard 4-color process brochures. To showcase this client’s gorgeous photos, we chose a high-quality paper in bright white, with a satin finish. 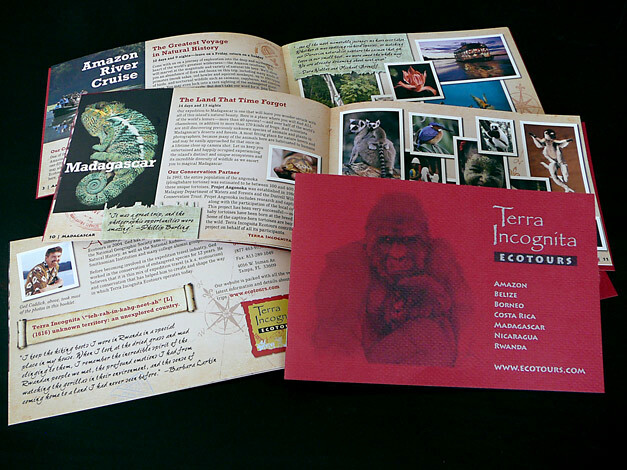 We printed a parchment texture on the pages, layered with other elements, to carry out the tactile power of the cover, and to evoke a scrapbook filled with unforgettable adventures. 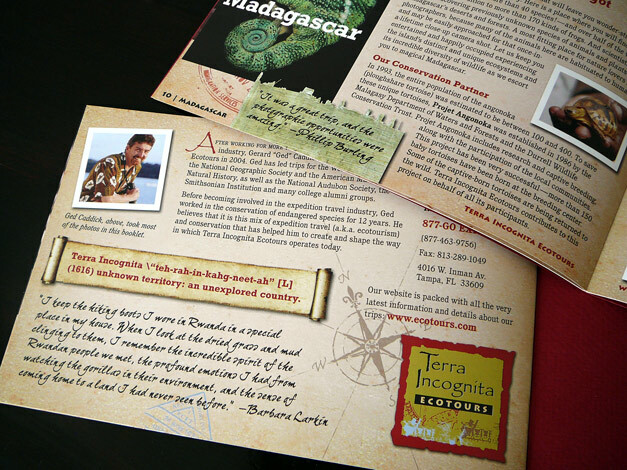 Images of passport stamps, vintage cartographic elements, primitive fabrics and hand-written notes are layered over a parchment texture to express the company’s mission of unique cultural experiences and adventures in eco-travel.